REMINDER _ WE ARE BACK AT THE PORTLAND COUNTRY CLUB! Facilitated discussion about ACE's role in the community. ACE will be teaming up with PelotonLabs this summer to expand on our mission of Success through Collaboration. PelotonLabs is a coworking space in Portland's West End that has work space, meeting space, and collaborative programming for freelancers, consultants, mobile workers and small organizations. 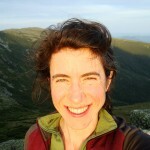 At our June meeting, Liz Trice of PelotonLabs will facilitate a collaborative exercise for our members. Multiple ACE members will have an opportunity to have a group of their peers consult on a challenge, so bring a challenge! During the month of June ACE members will have the opportunity to try every Thursday afternoon for free. Also during the month of June, any ACE member who signs up will get 20% off their total commitment. We know we should be spending time online working on social media but what exactly do you say? Do you instead feel like you're spinning your wheels and getting nowhere fast developing new business? This discussion will focus on the critical differences between online and offline communication. Understanding some skills of online persuasion will help make your online content as effective as possible to convert contacts to clients. You Simply Better, a wholly owned subsidiary of Good For You Coaching & Consulting, Inc.
You Simply Better recognizes that individuals and businesses are good as they are, but often can use some support to be even better. YSB offers communication support to strengthen and clarify communication in all channels, especially online. Registrations are required by June 15, 2014. If you want to be included on the registration list at the meeting then you need to register by the due date.